Course leader for Cityâs MSc in Energy and Environmental Technology and Economics is a global leader in establishing global energy management standards. Professor Martin Fry, Royal Academy of Engineering Visiting Professor in the School of Engineering & Mathematical Sciences, has won the Outstanding Contribution to the Energy Industry Award at the Sustainability Live Environment and Energy Awards Ceremony which was held in April 2013. Professor Fry, the course leader for the Energy and Environmental Technology and Economics MSc course, has been in the energy management consultancy business for the past 30 years. He also introduces final year undergraduate and masters engineering students to real-life applications in energy supply, usage and demand management. "I was delighted and very surprised to receive the award. I've worked in the industry for a very long time and it's a great privilege to be recognised in this way". 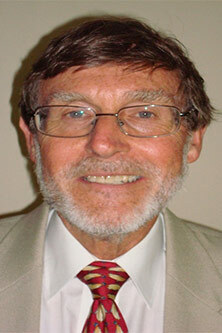 Widely considered to be a leading figure in energy efficiency circles, Professor Fry was instrumental in developing the Energy Efficiency Accreditation Scheme, which became the Carbon Trust Standard. He is at the forefront of devising international energy management standards, chairing committees for the British Standards Institute and heading up UK delegations to drafting meetings, one of these leading to the Energy Management Systems Standard ISO 50001, published in June 2011. "Engineering plays a key part in global carbon reduction and energy efficiency programmes. Whatever the policy measures, it is engineers and engineering solutions which must deliver them. It is also important for engineers installing energy efficient systems to ensure that those owning and operating them fully understand how to keep them running at the best levels of performance." Professor Fry is the convener for the EU Energy Auditing standard EN 16247-1, published in September 2012, and its subsidiary parts on buildings, process and transport, still being finalised. He is also convener for the new ISO 50002 energy auditing standard now under development. Professor Fry is also the Honorary President of the Energy Services and Technology Association and a Council Member of the Energy Institute.